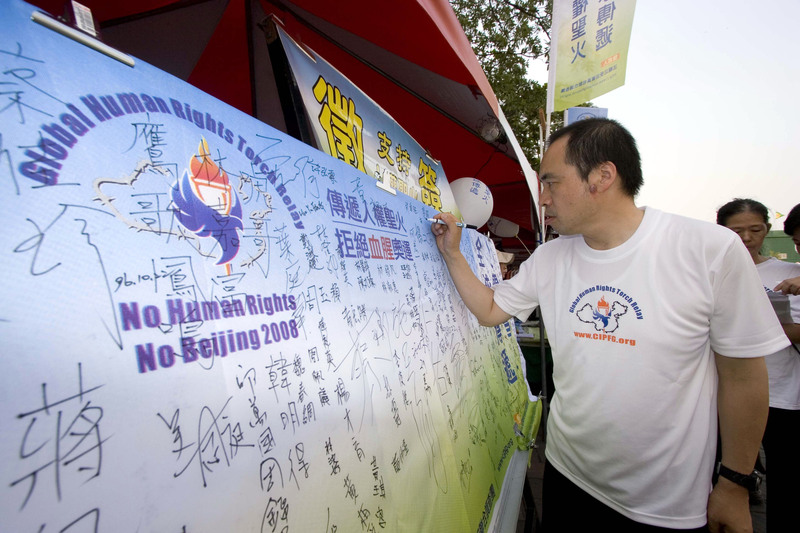 (Clearwisdom.net) The Human Rights Torch Relay global tour recently received wide support from athletes participating in the 2007 Taiwan National Athletic Games. 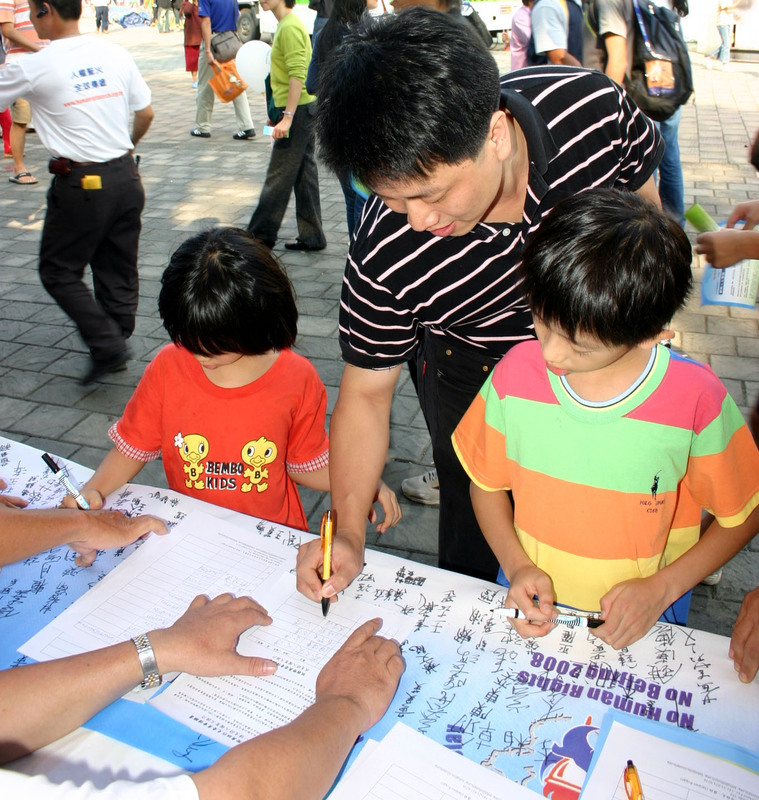 October 21-22, about 6000 athletes signed a petition to support the torch relay. By the time the Games ended on October 25, more than 7000 signatures had been collected and about 600 athletes had agreed to participate in a symbolic run when the torch visits Taiwan next year. The torch was lit in Athens on August 9, 2007, and during the past two months, it has visited many cities in Europe, receiving wide support from elected officials, social elites, human rights groups, and the general public. The torch will visit Taiwan in June 2008. 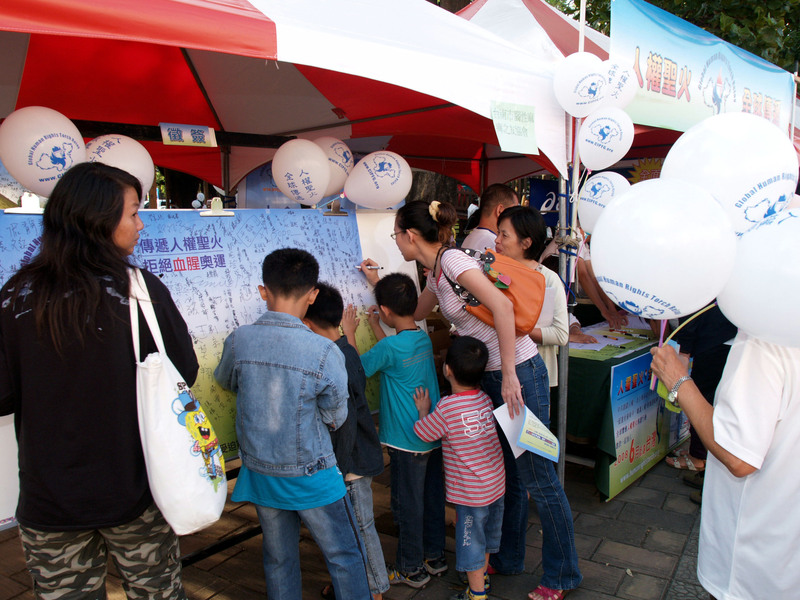 The torch relay was initiated to raise public awareness of the persecution of Falun Gong. In July 1999, the Chinese Communist Party (CCP) and Jiang Zemin launched the brutal persecution of Falun Gong. To date, it has been verified that more than 3,100 practitioners have died due to this persecution. 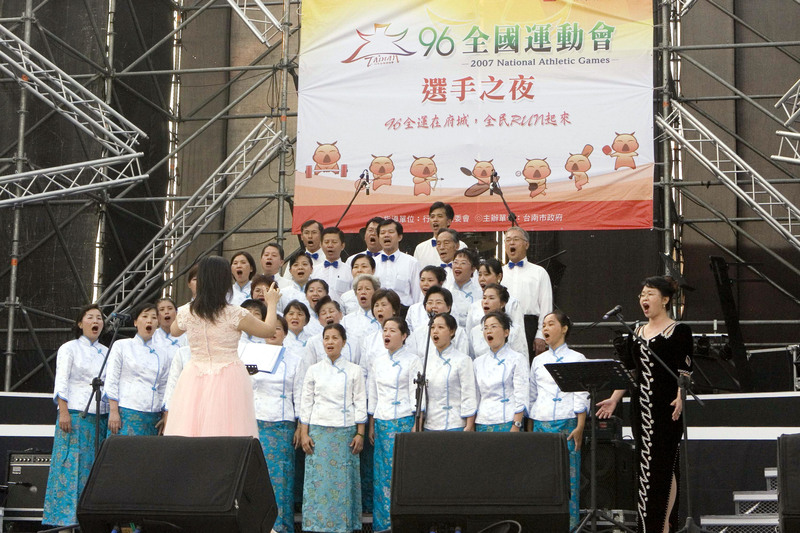 In March 2006, it was revealed that the CCP had set up concentration camps to systematically harvest organs from living Falun Gong practitioners. In July 2006, after a careful investigation, Canadian human rights lawyer David Matas and former member of Canadian Parliament David Kilgour concluded that organ harvesting was happening in China. To investigate the persecution of Falun Gong and the organ harvesting atrocities, the Coalition to Investigate the Persecution of Falun Gong (CIPFG) was established in April 2006. During the National Athletic Games, CIPFG volunteer Ms. Cai repeatedly announced, "Please tell our fellow citizens that a Human Rights Torch is being relayed around the world to raise public awareness of the human rights atrocities in China. While Beijing had pledged to improve human rights, they in fact have been deteriorating. The group which has been persecuted most brutally is Falun Gong, and the CCP even harvests organs from living Falun Gong practitioners." 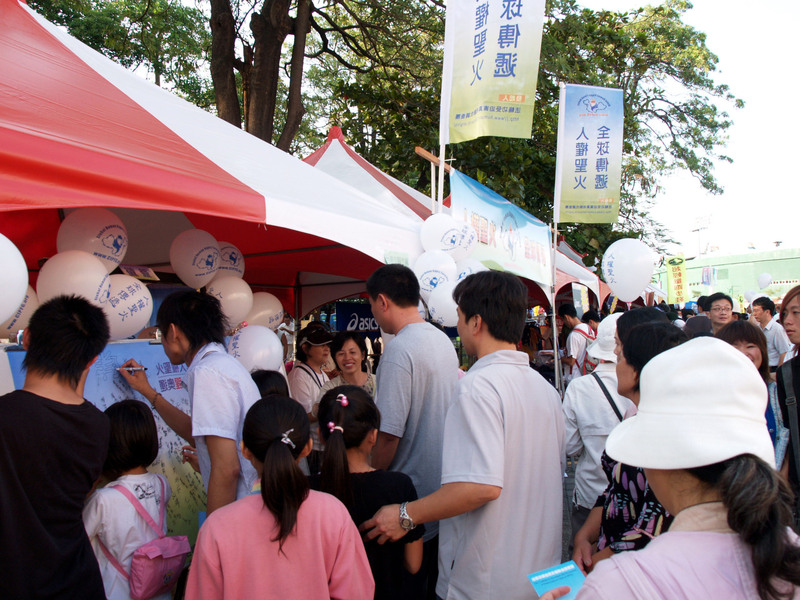 During the Taiwan Games, many people visited the Human Rights Torch Relay booth and signed the petition in support of the torch relay. The CIPFG prepared 5000 Human Rights Torch balloons, and all of them were distributed. Many supporters said that they knew about the persecution and the organ harvesting atrocities, and that the Human Rights Torch Relay was very important.